I ran an Ultra! OK, not really, but it WAS a Trail Race in Utah. Every January Matt and I have a work trip in Las Vegas. After work ends on Friday, we take a long weekend adventure to somewhere within driving distance, like Zion, Sedona, or Temecula. This year’s destination? Moab, Utah. I’ll describe Moab in more detail in my next post, but suffice to say that there are some pretty awesome things to do in Moab for anyone who enjoys being outside, being active, and being rewarded with breathtaking landscapes. 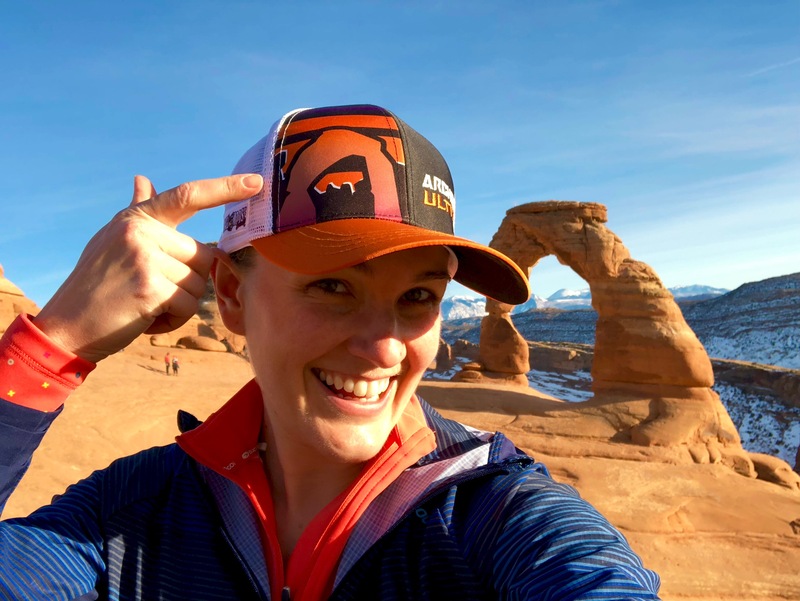 I had already decided we were going to Moab and was doing some online research when I came across mention of the “Arches Ultra” trail race that would be taking place the Saturday we’d arrive in town. That’s cool, I thought, there will be lots of runners around. Then I clicked through to the race site and discovered that in addition to the “ultra” race distances of 50 mile, 50K and 13.1 miles, this event would also feature a shorter 9K trail race. That’s only 5.6 miles… I can do that!! I immediately scrutinized our itinerary to figure out if it was even possible to get to Moab in time for the race’s 10AM start. If we retrieved our rental car in advance, left Las Vegas immediately when work ended at 5PM (pacific time), got dinner on the road, and drove until 11PM (mountain time) Friday night, we could spend the night in Richfield, UT. Then we’d just need to drive 2 1/2 hours on Saturday morning to get to Moab. Totally doable! Thankfully our long journey northeast went according to plan and Matt and I arrived at the race at 9:20AM. The ultra runners had started their longer races hours earlier (those 50 milers had to finish before dark!) so the start area was quiet and I had time to take in the sights. A huge cliff rose up out of the desert just to the north. The sky was deep blue and the ground was a beautiful red that reminded me of Sedona. The weather was perfect – low-30s and sunny. What a great day to run a trail race in Utah! I lined up with 96 other runners at 10AM. I felt a little out of my league as I listened to people around me chatting about how they had come from Colorado and Arizona for this race. I was positive that their western heritage automatically made them much better equipped to run an off-road race at 4600′ elevation, but that was OK. 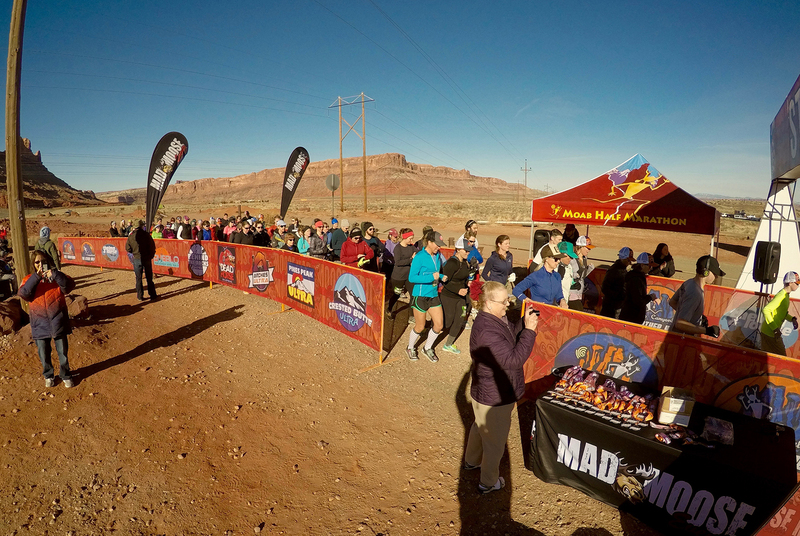 I positioned myself towards the back of the pack and prepared to have a blast running in Utah. Shortly after mile 2 the course veered off onto an actual trail (we had been on a paved bike path up until this point) and I let Kristen (the Experienced Westerner!) take the lead. I tucked in behind her as we weaved our way up, down and around hills and rocks. At one point I felt like a slalom skier as the trail switchbacked around the desert. Fun! After a few twisty miles we were back on the paved trail, making a beeline to the finish. With less than a mile to go, I realized that I had the energy to pick up the pace and I focused on Kristen, who was still within reach ahead of me. Kristen must have had the same thought, because together we BOTH picked up our paces and zoomed towards the finish. It quickly became clear that I wouldn’t be able to catch her, but I kept up my speed, pausing only slightly to one-step over the cattle guard (Matt said I ‘took it well’ compared to some!) before sprinting through the finish chute. Utah trail race complete! I collected my medal (I had forgotten there were medals!) and awaited the results. Because I had started so far back I had no idea how many runners were ahead of me. Imagine my surprise when the results were posted and I was 10th OVERALL!!! By my count, I was also the 4th woman to cross the line, but later I discovered that the official results show that I was actually 3rd female overall. Cool!!! “Chip” time would have been 46:23, according to Garmin, so I started 31 second back! Kicking the weekend off with a trail race was a great introduction to Moab. The race was well organized, the other runners (especially Kristen from Arizona!) were super friendly, and there was great race swag. 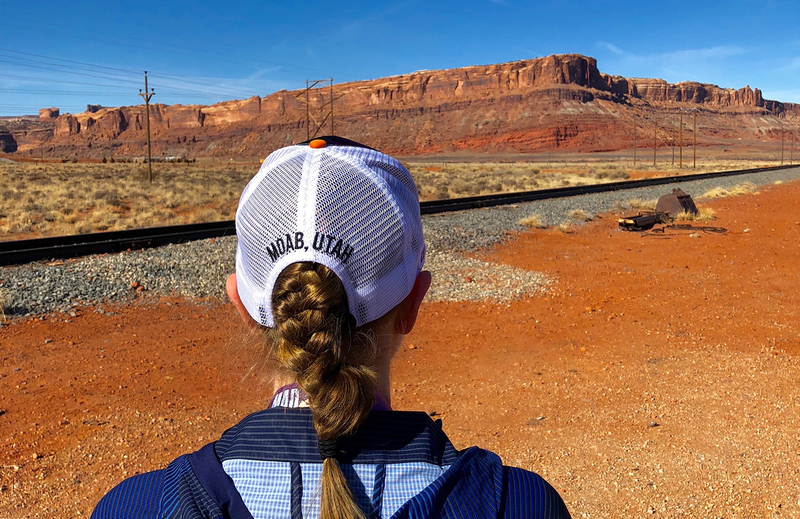 I LOVE my new Arches Ultra trucker hat and I wore it constantly for the remainder of our time in Moab. Apparently many of the other runners felt the same way… I kept bumping into other ‘tourists’ wearing The Hat for the rest of the weekend and it was fun to compare race stories. Granted, everyone I met had raced at least twice as far as I did, but, no worries, I ran an “ultra,” too! 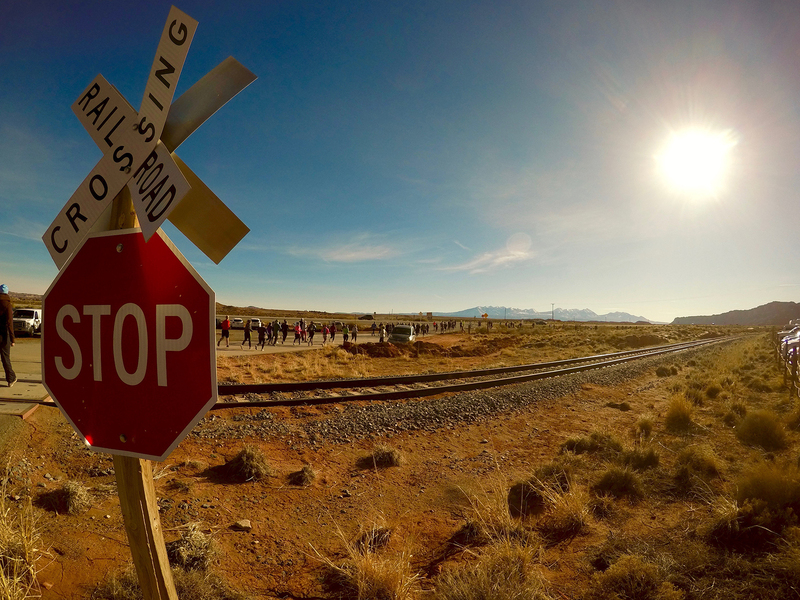 More on our weekend in Moab coming up next! The first day of October really felt like fall, with crystal clear blue skies and a nice chill in the air. I couldn’t pass up this perfect racing weather so Matt and I woke up early and signed up for the 10th Annual Michelle’s Miles 5K on site at the Episcopal Academy. On the way to the start line I saw a familiar face – my Uncle Rory! He and my cousin, Danae, were also running the race. Yay for family! With Danae at the start! The course took us on two different loops around Episcopal’s beautiful, college-like campus and we ran on pavement, grass, gravel, and the all-weather track. There was more off-roading than I had anticipated, but I felt strong throughout the race and was happy to discover that I was the 2nd place female finisher! I was even happier about this when I realized that Michelle’s Miles had CASH PRIZES for the top 2 (or maybe 3?) finishers. I cheerfully spent my $50 prize money on new trail shoes at my favorite local shop, The Running Place, a few weeks later. 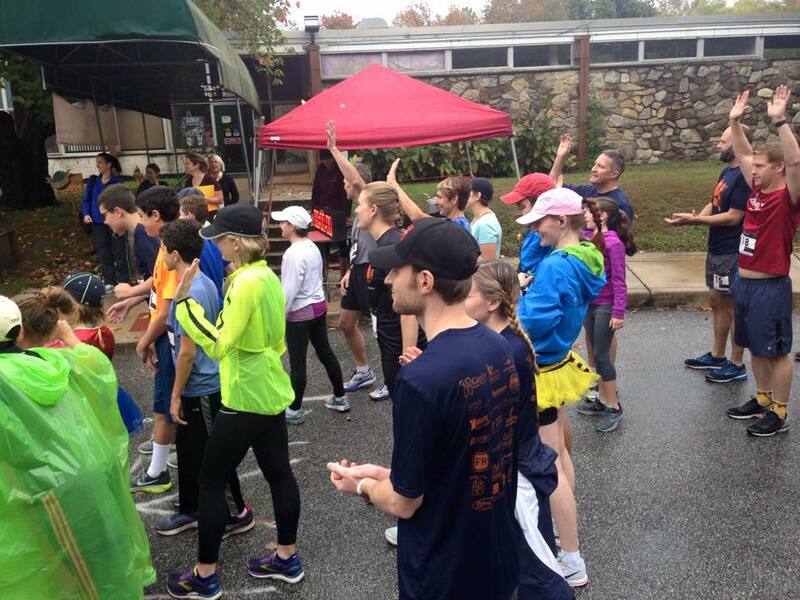 This was “MY” 5K and I am so thankful for all of the friends and family that helped make it a great success. Team Thorne raised $375 and in total the event raised $12,368.79 to help local families!! Thank you to Bill, Suzanne, Rob, Jean, Tom, Kristen, Lyra, Mike, Jocelyn, Olivia, Teddy, Rob, Meredith, Dixie, Nick, Amy, SuperLucas, Elias, Bob, Cheryl, Bob, Roe, Tony, Karen, Brian, Shelby, Kate, Elle, and Liia. And thank you to my course-design partner, Eric Traugott… between the summer runs and the actual event I’m sure you agree that we spent waaay too much time on Williamson’s campus in 100% humidity! The weather on October 8th was less than ideal, with oppressive humidity, tropical heat and the occasional rain shower. Nevertheless, 107 brave, sweaty souls reported to the starting line at 9AM to happily run and walk the course. I liked running the race, but my favorite part of the day was seeing everyone else enjoying this event after months of planning. I’ll be sure to post next year’s date for the One Stride At A Time 5K as soon as it is confirmed. Hope to see even more of you out there in 2018! Run-A-Muck holds a special place in my heart because it was the first 5K I completed after starting my run streak (and my post-college running ‘career’) in 2013. Run-A-Muck is a trail race that traverses privately owned farmland that’s been preserved by Willistown Conservation Trust. 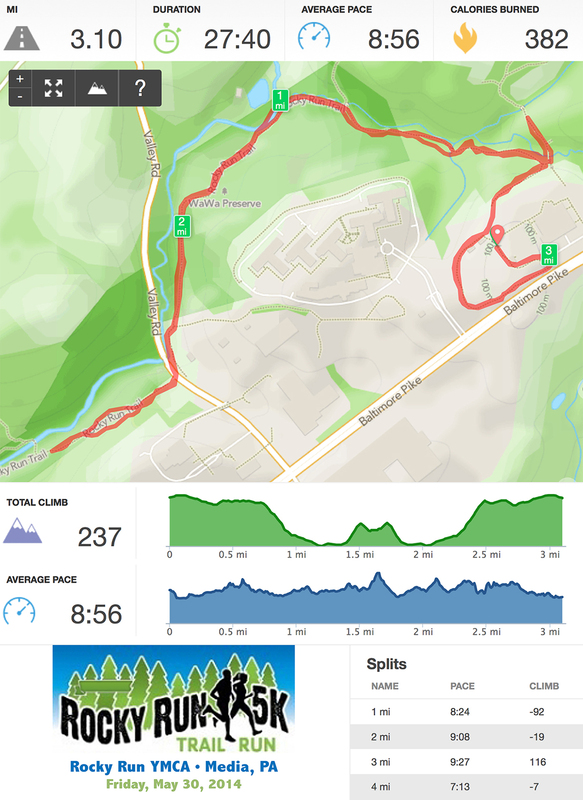 This year’s course was new (to me – it was actually new last year but I missed the race) and included a stream crossing, a haunted bamboo forest, and an insanely steep climb during the final quarter mile. Although I was wearing snazzy new Saucony Peregrine trail shoes (bought with my Michelle’s Miles winnings! ), this race just didn’t click for me. 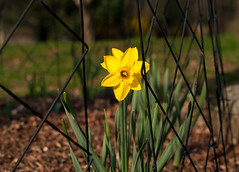 I didn’t have any spring in my step and I felt a little gassed right from the start. In hindsight, I don’t think I ate enough food in the hours before the race (the 3:30 start time threw me off!) but meh, lackluster races happen! Lack of pep aside, my favorite moment of the race was when I splashed shin-deep through Crum Creek on the way back to the finish line. The weather was hot and that cold creek water felt GREAT! Trail run redemption time. A week after Run-A-Muck I decided to tackle another trail race, this time the inaugural Run for the Mill 5K at nearby Newlin Grist Mill. Matt, Piper (and in the past, Bailey) and I have hiked in this park before and I love the perfectly straight industrial trail, remnants of an old railroad bed, and the dam and waterfall. Although I did not know the exact course we’d be running, I knew that the parking area (and start/finish) was at a lower elevation than most of the park, so this pretty much guaranteed that there’d be some nice downhill in the second half of the race. I was not disappointed. After a flat and fast first mile the course turned up a hill and we climbed and climbed and climbed! Unlike at Run-A-Muck, I felt energized and actually passed a few guys during the ascent. Yeah! I knew there were a few women ahead of me but didn’t know how many. Towards the top of the climb I passed one woman and didn’t look back. Finally, almost exactly as my watch beeped the start of mile 3, the uphill was over and the real fun began. I zoomed through mile 3, enjoying 100 feet of elevation drop in the first half mile. I felt in control and very happy with my new trail shoes, which felt light and were hugging my feet perfectly as I tore down the hill. Before I knew it the finish was in sight and I cruised across the line with a time that was 3 minutes faster than the week before. 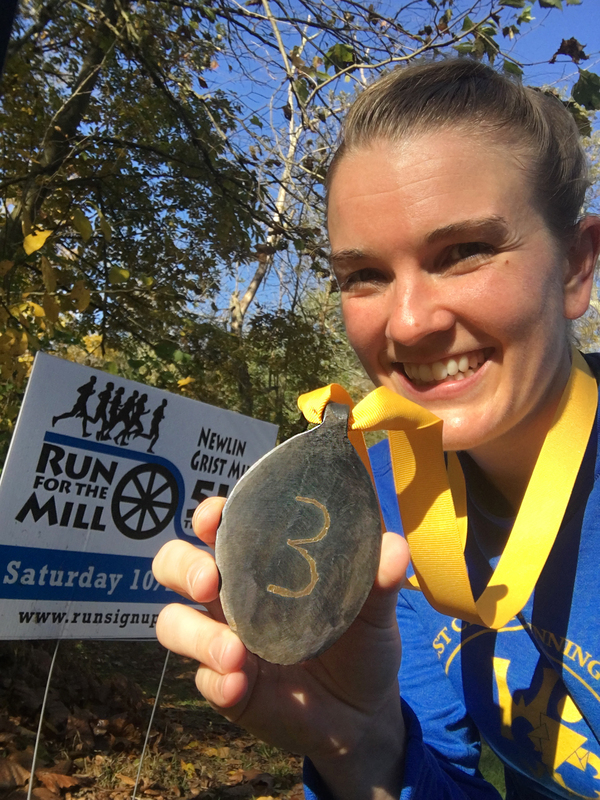 I ended up in 3rd place, which earned me a gift certificate to Chester County Running Store and – even better – an amazing medal that was HAND FORGED in Newlin Grist Mill’s blacksmith shop!! This is hands down the coolest (and heaviest!) medal I have ever received! It wasn’t my plan to run back-to-back races, but I woke up on Sunday wanting to race again. I knew that The Creative Living Room was hosting their 3rd annual Boo Run at 2PM so I started off my day with a super hearty breakfast and kept an eye on the massive rain storm that was forecasted to dump 2-3 inches of rain on Southeastern PA. It poured all morning and was still pouring as I left for the race, but by that point I was determined to go and figured that a little rain couldn’t stop me from enjoying a race. I arrived, paid my entry fee, and got some quick pointers on the course, which was different than the previous two years. Come to think of it, this course has changed each year. The Creative Living Room is fortunate to have so many 5K route options at their doorstep! I love racing in Wallingford and was excited to see where this year’s course would take me. At 1:40 the rain magically stopped and didn’t start up again until my drive home. Perfect!! Soon we were off and headed straight to Matt’s childhood neighborhood! 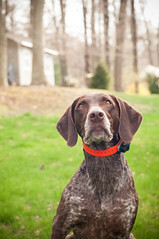 We looped around, passing directly by his old house and a house of one of Piper’s Nosework classmates, before turning back towards the start line and a different neighborhood loop. Despite the soggy weather the course was perfectly marked and there were volunteers pointing the way at every single turn. Now that I’ve helped to organize a 5K I realize what a feat that is all by itself! I could see from the start that I was the first woman and I held onto that position for the rest of the race. I jockeyed back and forth with a few guys and cruised through the course with relatively even splits, finishing in 22:25. (My garmin said the course was a tad short so that’s not as close to my PR as it looks!) I was very pleased with my race considering I ran a trail race yesterday! As was the case at previous Boo Runs, the organizers went all out with post-race food, drinks, kid-friendly activities and prizes. I won a goodie bag from Bryn Mawr Running Company and was impressed by all of the sponsors and donated prizes the Boo Run had for the runners. Once again, now that I’ve organized a race I have a whole new appreciation for these details!! I will definitely try to return to the Boo Run again next year. Actually, I will be putting all FIVE of these October races on my calendar for next year. Each offers an interesting local course and supports a great cause. Now if I could only figure out how to guarantee another Newlin Grist Mill blacksmith medal… that thing is awesome!! 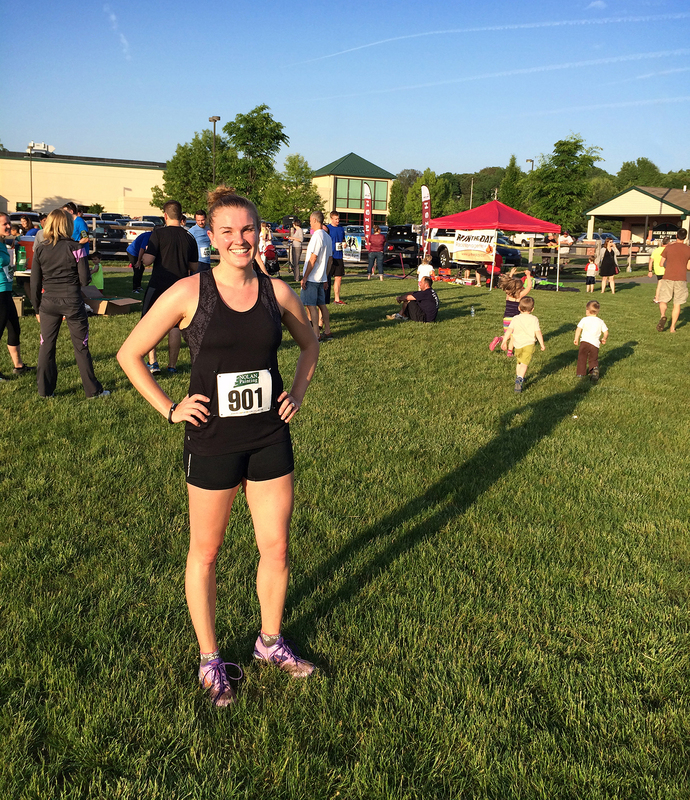 This weekend I ran TWO 5K trail races and I had a great time! The first race was the Rocky Run 5K hosted by the Rocky Run YMCA in Media, PA on Friday night. This race was originally scheduled for May 16th but it had to be postponed due to extremely heavy rainfall (over 2.5″ inches in 8 hours). Postponing the race was a good call – the extra two weeks gave the winding trails behind the Y time to dry out and Friday’s weather was absolutely perfect. The Y’s 5K course started out on a short pavement loop before entering the woods on the Rocky Run Trail. 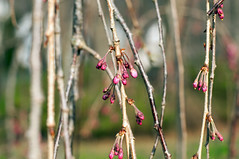 (This trail is part of a large network of trails in Middletown Township including the Darlington and Linvill Trails… if you’re in the area I’d highly recommend checking them out!) I’ve spent a lot of time hiking on these trails but I’ve never actually run on them so Friday’s race was a new experience for me. The first 1 1/2 miles seemed pretty easy and I felt good as I dodged tree roots, mud, and rocks. At the halfway turnaround I discovered that I was the 2nd place woman (woohoo!) which put some pressure on me to keep up my pace for the second half of the race. I didn’t know how far behind me the 3rd place woman was, but I do remember the second half of the race feeling MUCH harder than the first half, probably because it was almost entirely uphill! The last mile wasn’t pretty, but I held onto my second place spot and finished in 27:40, good enough for 14th overall out of 88 runners, 2nd place female, and 1st in my age group. The overall female winner was actually also in my age group but I got the AG award since she got the overall award. 🙂 The Rocky Run 5K marked the first time I’ve won an actual prize in a race — a $25 gift certificate to a local running store!! 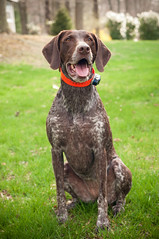 — and also helped me realize that I might REALLY like trail runs! After my great off-road experience on Friday night, I decided to sign up for another local trail race on Sunday morning. 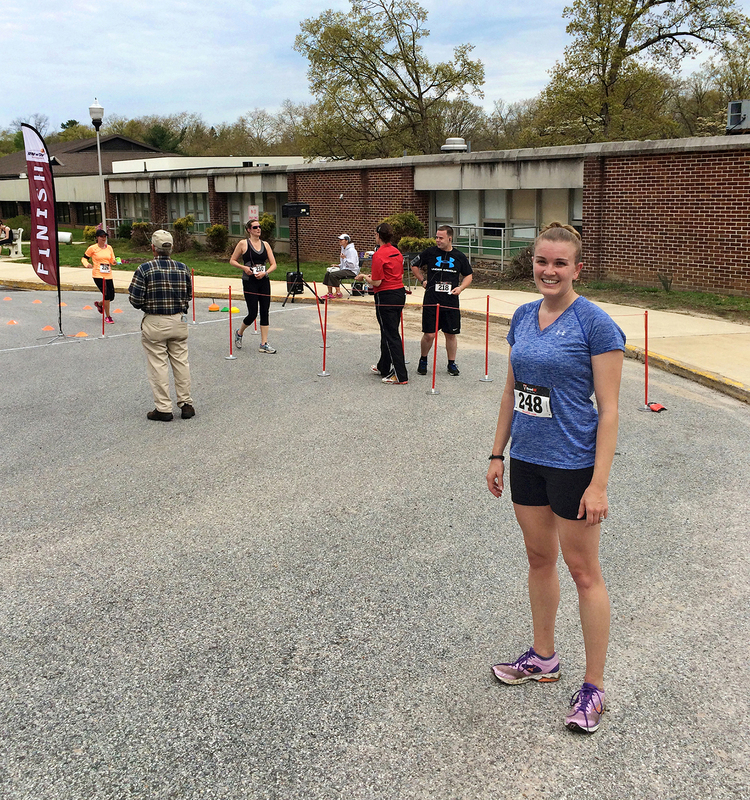 This race was Radnor Conservancy’s Race for Open Space 5K Trail Run. It was held at the Willows mansion/park in Villanova, PA which is actually where my parents got married back in 1983! Despite the Willows only being about 20 minutes from my house I’ve never actually been there, so it was pretty neat to visit the alcove and gardens that I’ve only ever seen in old wedding portraits. I was surprised to discover that my parents’ wedding ceremony site is now a parking lot… I guess modern-day weddings happen somewhere else on the property?? 2014 – the same alcove is a parking lot today! Much like the Rocky Run 5K, the Race for Open Space started on a short stretch of pavement before entering the woods on winding, hilly trails. My Runkeeper App couldn’t get a good GPS signal during the race and it reported that I had already run 5 miles after only 7:46 had elapsed. Whoops! The Runkeeper app continued to malfunction throughout the race (at one point it told that my mile split was 81 miles per hour!!) but it was useful just to know the race time even if the miles were way off. I thought that this course seemed harder than the Rocky Run course so I was pleasantly surprised when I finished in 25:49… nearly 2 minutes faster than Friday’s time. Yay!! My 25:49 finish was good enough for 31st overall out of 96 runners, 10th place female, and 1st place in my age group. 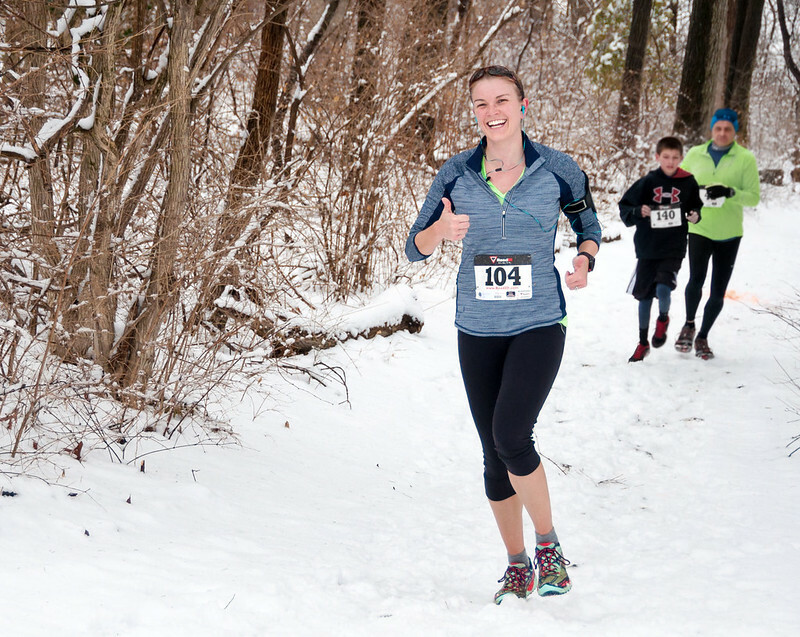 🙂 Considering that I had not originally been planning to run any races this weekend, I was pretty thrilled with how my two trail races turned out. Now I really can’t wait to do the Run-A-Muck trail race in September… I have a feeling that I am going to be able to improve significantly on my 35+ minute time from last year!! My next race is the Media 5 Miler on June 20th. This is a road race (which should feel easy after tree roots, rocks and mud!) and, with over 1500 runners, it will be the biggest race that I’ve run in so far. Less than 3 weeks to go! 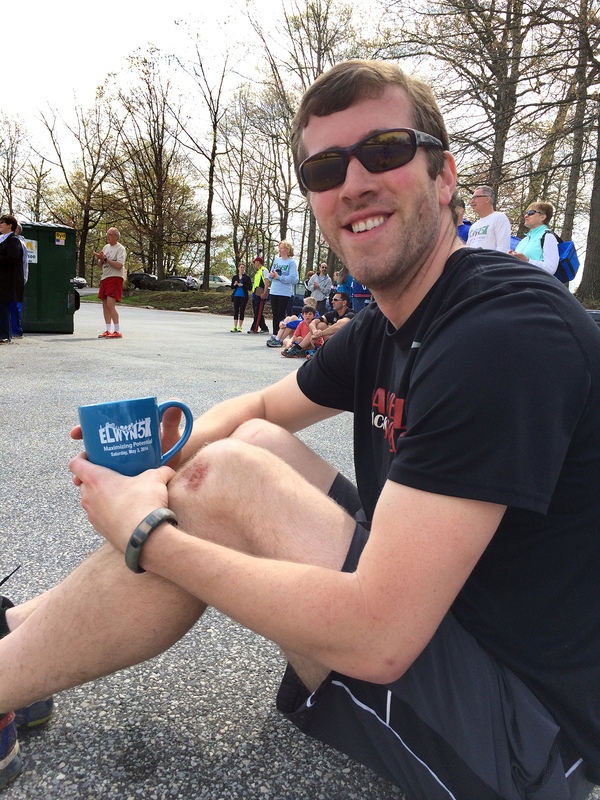 Over the Hills and Through the Woods… the Elwyn 5K! On Saturday morning Matt and I ran the Elwyn Maximum 5K, a road/trail/XC race held on the beautiful grounds of the Elwyn school just west of Media, PA. This was our first off-road race since our racing debut at Run-A-Muck last September. All of my races since Run-A-Muck have been on pavement and I had forgotten how much harder it is to run off-road. (This also made me realize how hard Run-A-Muck really was… I’m lucky I didn’t quit running immediately after that race!) Mixed surfaces aside, the race course was beautiful, the other runners were friendly and supportive, and I had a blast! After going out way too fast in the St. Tim’s 5K last week, I was determined to run my first mile at a reasonable pace. I curbed my competitive instincts at the start and let people run by me, keeping myself to what felt like a comfortable jog. The first mile ended up being mostly downhill and was all on pavement, so my split was still pretty quick at ~7:34, but I felt much more under control at the 1 mile marker than I was during St. Tim’s. This was good because the next 2 miles were very challenging, with trails, grass, and loooong up hill climbs! At around 1.25 miles the course left the road and entered the woods, where we were greeted by a steep climb up a wood chip trail. Then we exited out into a soggy, grassy field (where I passed two people… that never happens in the middle of a race!!) and started a steady 0.8 mile climb that felt like it lasted forever. (And those people passed me back, oh well!) The wet grass footing was challenging but I pushed through, knowing that eventually we’d return to pavement. At one point around mile 2 we ran down a short driveway and I remember feeling so excited that we were back on the road, only to realize that the volunteers were actually directing us to yet another field for another 3/4 miles of XC running. During this last stretch on the muddy grass I was only about 50 feet behind Matt, but just as I thought I might try to pass him he put on a burst of speed and pulled ahead. We finally returned to the road with about 0.35 miles left to go. I was SO HAPPY to have pavement under my feet again! I was also pleasantly surprised to find out that I apparently also had enough energy left to pick up some speed and run my third mile faster than my second. Woohoo! I finished in 26:17… FASTER than my St. Tim’s run despite this course being much, much more challenging. I know that the trick was going out with a more controlled pace and I can’t wait to get a chance to try out that technique on an all-road course! Our next race is Victory Brewery Company’s Run for Victory 5K on May 18th. They have a beer garden and BBQ after the race, which is apparently a very fast and flat ROAD course. Looking forward to it!! !